Take note of the address and contact number. Not many people know of this centre. It's about 45-60 minutes drive from KL/PJ. Ever since I wrote in an earlier post that my mother has dementia and is currently staying in a home-care centre specially catering for folks with dementia, I have received many requests for more information on the place. I hope the pictures below as well as my comments will provide some answers to the frequently asked questions about the home. For more about dementia or Alzheimer's, just type either word in the search box in the side column. I have done a lot of research on the topic and am happy to share with those who are interested. Happy reading! A view of the centre from the outside. Well-kept garden, fresh air, peace and quiet and the sound of running water from the fountain to the left (not in view). 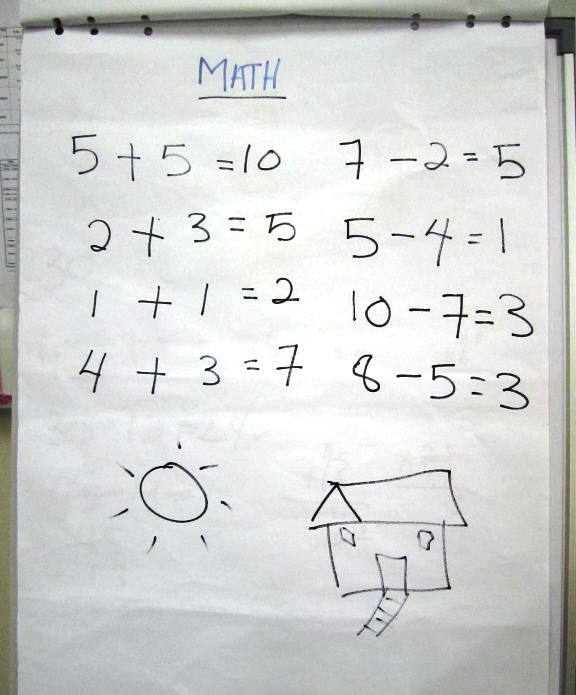 There is a pre-school in the same compound. I think it's great to have the bookend generations sharing space. The sight and sound of children helps to liven up the place. Spacious, clean, bright and well-ventilated. Such conditions are almost non-existent in most care centres that I have visited. Some of the residents having lunch. Through the windows, you can catch a glimpse of the dragon fruit orchard at the back of the centre. There is also a swiftlet farm in the same back compound. Most of the residents are able to feed themselves and move around on their own. The dormitory with six beds and two attached bathrooms. Rooms with two beds and three beds are also available as well as single rooms. All rooms have attached bathrooms and toilets. I have seen centres where as many as 20 beds are crammed into a similar-sized room, with barely two feet of space separating the beds. There are different activities on weekends which are also the days when family members usually visit. They are encouraged to make regular visits to the centre and spend time with their parent. One reason why I chose this home-care centre for my mom is the structured programme of daily activities to stimulate the mind and keep the residents occupied. It's like going back to kindergarten for them. They learn the 3Rs all over again to help boost their memory. In most homes, the residents are left to themselves to do their own thing. Most end up either lying in bed all the time or starring blankly into space. How utterly depressing! 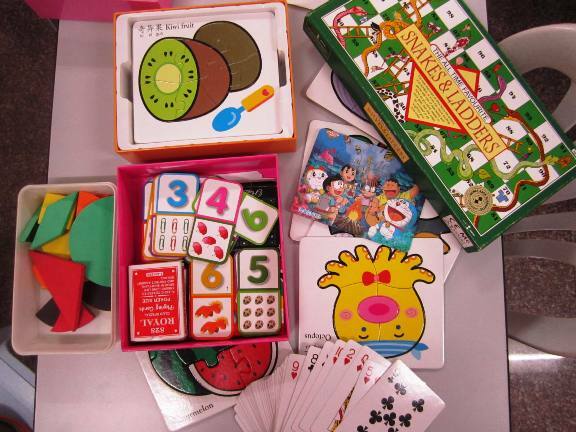 Jigsaw puzzles, card games and many more. Going through a second childhood for the residents. An hour of singing the oldies and playing percussion before lunch. Not everyone is into singing, but everyone tries. The residents are encouraged to participate in all the activities. No one is forced to do anything against their will. The daily menu. My mom has a very healthy appetite. She enjoys every meal at the centre. Morning exercises to improve flexibility and balance. The staff are all trained nurses. Staff to resident ratio is 1:2. Members of the Philharmonic Orchestra performing at the centre in May. Special events are organized for the residents. The Alzheimer's Disease Foundation of Malaysia (ADFM) is organizing an overnight trip to Genting Highlands for the residents and their carers from 12-13 October in conjunction with World Alzheimer's Day. (See poster below for more details). My 86-year old mom with Angela Lee who manages the centre. Angela holds a degree in Nursing Science and was a lecturer at a nursing college before she took up her current post. She is pursuing her Masters on a part-time basis. I personally find Angela very knowledgeable, experienced, and caring - important attributes for anyone looking after the elderly. Me and my mom. I try to visit as often as I can. I am glad I have found a place for my mom that she is happy with. 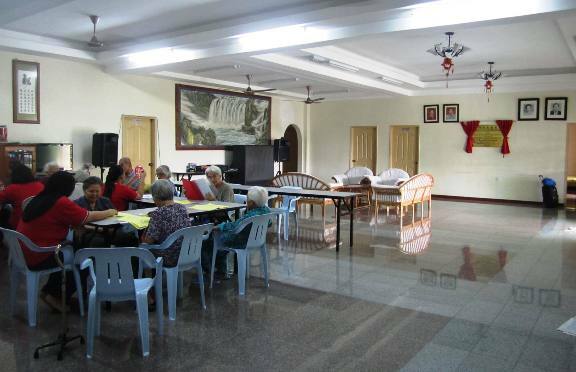 I must have checked out a dozen or more homes before my search led me first to the Alzheimer's Daycare Centre in PJ . 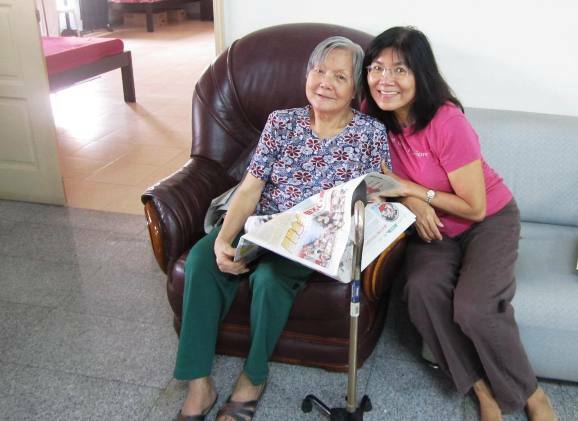 My mom was there for three months before she moved to the Dementia Homecare Centre in Telok Panglima Garang in September 2011. 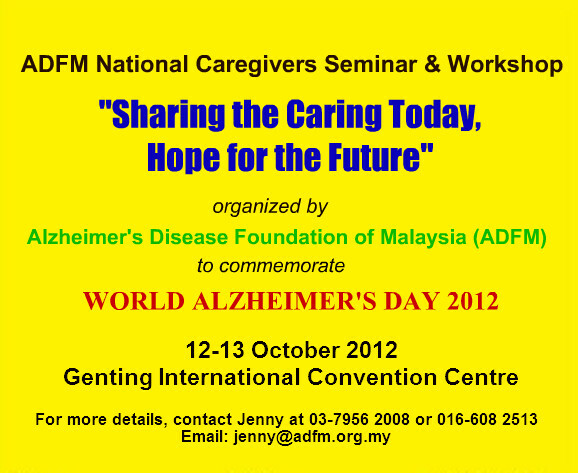 Both homes are run by the Alzheimer's Disease Foundation of Malaysia (ADFM). 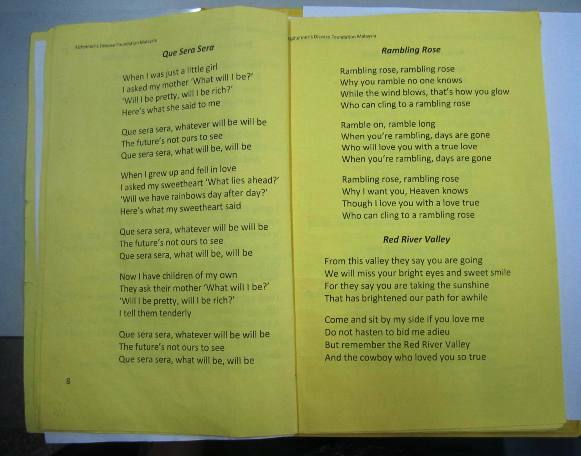 Please click on the links for more about the daycare centre in Section 11, PJ. Admission to either centre is strict. You need a doctor's referral, preferably from a geriatrician who will have to verify that your parent does have dementia or Alzheimer's. 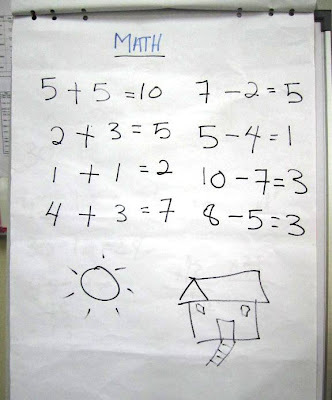 This is done through a series of cognitive tests. My mother was seen by Dr Philip Poi of Universiti Malaya Medical Centre. She was examined and put through tests at the Memory Clinic and diagnosed as having signs of Alzheimer's Disease. Click here for details of the above seminar/workshop. Actually, it's only a daycare center. What happens to those who are fully dependent on full time care? 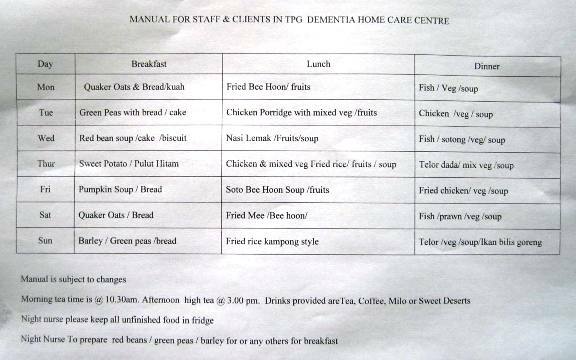 Dementia Homecare Centre in Telok Panglima Garang is a residential care centre strictly for those certified to have dementia. For others there are many nursing homes that provide full time care depending on one's budget. I find it extraordinary that the institution is called DEMENTIA Homecare Centre. Its akin to calling Tg Rambutan MAD House Centre or Pusat GILA. The word Dementia denotes very strong negative connotation and I am sure there are better names to reflect such care centres. In the states, there are agencies that provide dementia care at home . This allows seniors to remain in the comfort of their own home while they age. It's an awesome alternative to an assisted living facility or senior day care. Dementia Care at Home is a good option.Most seniors will prefer to live at home which makes them feel more secure,comfortable and independent. Caring for Alzheimer's is a difficult situation for caregivers and family members.Choosing the right Senior Living Community which offers Dementia Care is important in such cases.